Bike Routes visited the KTM factory in Mattighofen and then took the new 1290 Adventure S for a spin through the Czech Republic. We rode for three days, with many breaks along the route. For the benefit of my pillion I didn’t exceed 140 km/h. It was a safe, laid-back ride. Conception of an Orange Monster. In white. The Czech Republic has a picturesque countryside, beautiful towns (like Český Krumlov), an interesting history and it’s not as pricey as Austria and the rest of Western Europe. Communism had drab, nauseous colours. We brought bright orange. Any large, comfortable bike that can maintain highway speeds is suitable. 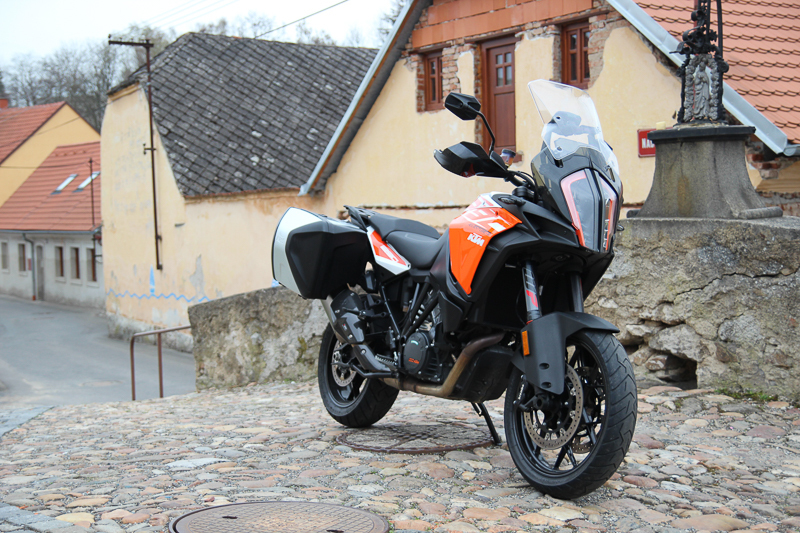 In our case it was the new 2017 KTM 1290 Adventure S. We were riding two-up, went beyond Austria’s borders and carried no breakdown equipment, besides a basic first aid kit. So I played it super safe and avoided muddy dirt roads where a spill with my pillion would have put a damper on the festivities. 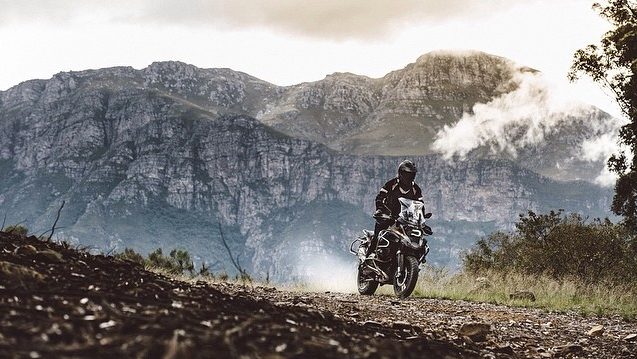 The 1290 Adventure S is road biased, but it will handle almost anything with ease, except maybe hard enduro riding. Helpfauer Hof is a pleasant Gasthaus in Uttendorf, Austria. It’s a 10-minute ride from the KTM factory in neighbouring Mattighofen. The rooms are more swanky than the exterior would let on. Žíznivej Kozel in Klatovy in the CR is part micro-brewery, part modern pub. Find them on Facebook. Český Krumlov has a well-preserved medieval old town and is one of the CR’s most popular destinations. I’m sure it gets crowded in summer. In Munich (Germany) we stayed at the Jedermann Hotel before we departed for Mattighofen in Austria. The hotel is conveniently located close to the city’s Hauptbahnhoff (main station). 6. Any hazards along the route? Being used to driving on the left, I was my own worst hazard once or twice. I found that it was easy to check the wrong side when getting back on the road after a photo stop. I noticed that the general driving attitude worsened as we entered the Czech Republic. Between Mlázovy and Český Krumlov we rode in the rain for two hours. The bike behaved flawlessly. It looks cold. It was. A hot pillion is a must. This was taken near Klatovy, Czech Rep.
Our return flights from Johannesburg to Munich (via Paris) were R9 000 each. We had to take three trains to reach Mattighofen (via Salzburg), at a cost of R500 per person. We returned the bike on a Saturday, only to realise the trains run infrequently on weekends. This resulted in a R750 taxi ride, but a cheaper (off-peak) train ticket. Accommodation averaged R1 000 per night (for two) and meals are similarly priced to those in South Africa, unless you eat at fancy places. Austria is generally quite expensive. The 1290 burned less than two tanks of fuel. To fill the tank was about R320. The cost per litre was around R16. There was no shortage of fuel stations and they all accepted credit cards. You do your own fill-up and then pay inside. For payments we used Bidvest’s forex Master cards “loaded” with euros and we carried some cash. We changed about €50 for some Czech kurona at the border, but it seemed many businesses in the CR accept euros and most accept credit cards. Entering Český Krumlov. Usually there are more tourists. The fluorescent, yellow-green rain jacket I wore must have burned a few retinas. To compensate, I matched it with my jet-black waterproof pants. I looked rather fetching. I also wore waterproof (breathable) gloves with long cuffs. 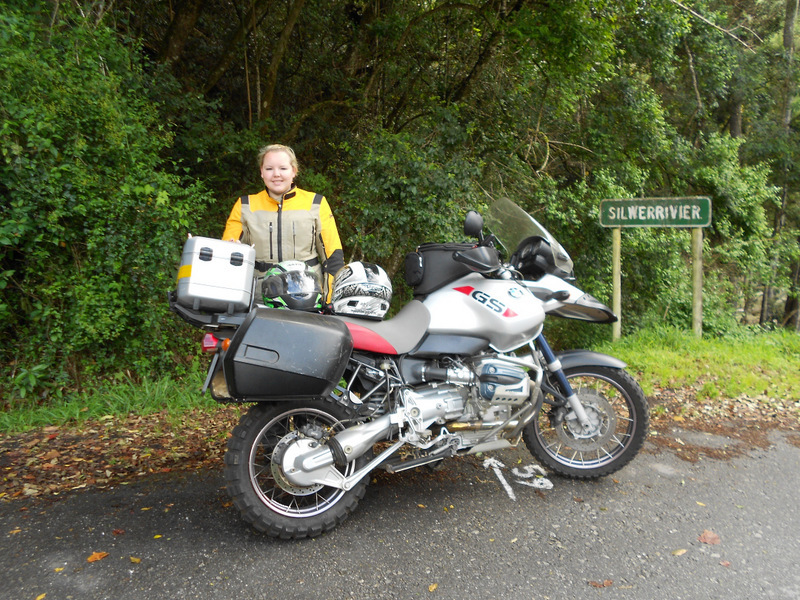 My lovely pillion wore Gore-Tex touring boots, rain-proof riding pants and a Hein Gericke leather jacket. 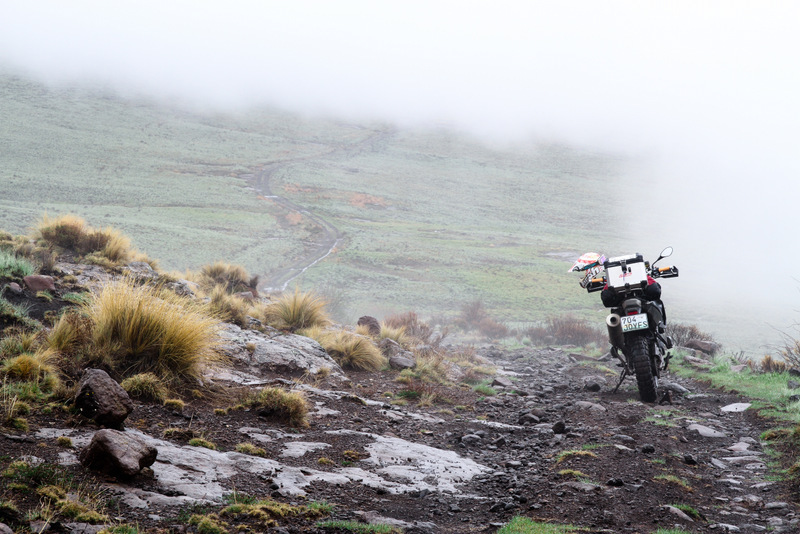 A Garmin Zumo 395LM, lent to us by KTM, was indispensable. It has detailed maps, a fast processor, is easy to read under varying light conditions and fairly easy to operate while wearing gloves. The bike was kitted out with two KTM side panniers fixed to KTM’s non-rigid “floating” luggage mounts that aid stability. The KTM Factory Tour. Find more info and contact details here. And we’re back in cheerful, sunny, warm Austria. Our journey is about to end. 10. Other comments or advice about the route? If time and budget allows, ride on to Prague, capital of the Czech Republic. It’s only a 140 km ride from Klatovy. I always inform my medical aid of my travel plans before I go. Most banks give some form of travel insurance when you buy air tickets with “their” credit cards.